Kian-Lee Tan is a Professor of Computer Science at the School of Computing, National University of Singapore (NUS). 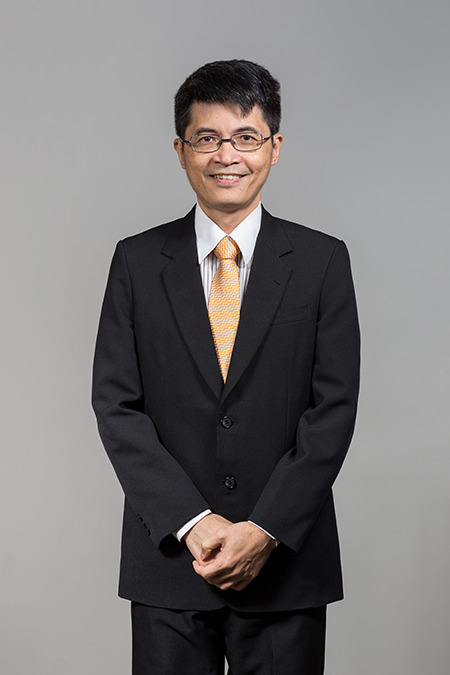 He received his Ph.D. in computer science in 1994 from NUS. His current research interests include query processing and optimization in multiprocessor and distributed systems, database performance, data analytics, and database security. Kian-Lee has published over 300 research articles in international journals and conference proceedings, and co-authored several books/monographs. Kian-Lee was a recipient of the NUS Outstanding University Researchers Award in 1998, and the NUS Graduate School (NGS) Excellent Mentor Award in 2011. He was a co-recipient of Singapore's President Science Award in 2011. He is also a 2013 IEEE Technical Achievement Award recipient. Kian-Lee is a member of the VLDB Endowment Board (2012-2017) and PVLDB Advisory Committee (2014-2017). He is an associate editor of the ACM Transactions on Database Systems (TODS) and the WWW Journal. He has also served in the editorial board of the Very Large Data Base (VLDB) Journal (associate editor: 2007-2009; editor-in-chief: 2009-2015) and the IEEE Transactions on Knowledge and Data Engineering (2009-2013). Kian-Lee was the Technical Program Committee co-chair for the 27th International Conference on Data Engineering (ICDE 2011), the 36th International Conference on Very Large Data Bases (VLDB 2010), the 11th International Conference on Database Systems for Advanced Applications (DASFAA 2006) and 3rd International Conference on Mobile Data Management (MDM 2002). Kian-Lee is a member of ACM and IEEE (and IEEE CS). Parallel Personalized Pagerank on Dynamic Graphs W. Guo, Y. Li, M. Sha, K.L. Tan PVLDB , Vol. 11, No. 1, 2017, pp. 93-106 (VLDB'2018, Rio de Janeiro, Brazil, 27-31 Aug 2018). Accelerating Dynamic Graph Analytics on GPUs M. Sha, Y. Li, B. He, K.L. Tan PVLDB , Vol. 11, No. 1, 2017, pp. 107-120 (VLDB'2018, Rio de Janeiro, Brazil, 27-31 Aug 2018). Discovering Your Selling Points: Personalized Social Influential Tag Exploration Y. Li, J. Fan, D. Zhang, K.L. Tan 2017 International Conference on Management of Data (SIGMOD'2017), May 14 - May 19, 2017, Chicago, IL, USA, pp. 619-634. Fast Failure Recovery for Main-Memory DBMSs on Multicores Y. Wu, W. Guo, C.Y. Chan, K.L. Tan 2017 International Conference on Management of Data (SIGMOD'2017), May 14 - May 19, 2017, Chicago, IL, USA, pp. 267-281. Real-Time Influence Maximization on Dynamic Social Streams Y. Wang, Q. Fan, Y. Li, Kian-Lee Tan PVLDB (VLDB'2017), Vol. 10, No. 7, March 2017, pp. 805-816. A General and Parallel Platform for Mining Co-Movement Patterns over Large Scale Trajectories Qi Fan, D. Zhang, H. Wu, K.L. Tan PVLDB (VLDB'2017), Vol. 10, No. 4, Dec 2016, pp. 313-324. Discovering Newsworthy Themes From Sequenced Data: A Step Towards Computational Journalism Q. Fan, Y. Li, D. Zhang, K.L. Tan, IEEE Transactions on Knowledge and Data Engineering, Volume 29, No. 7, pp. 1398-1411, July 2017, IEEE CS. Influence Maximization in Trajectory Databases G. Long, D. Zhong, G. Cong, W. Wu, K.L. Tan, IEEE Transactions on Knowledge and Data Engineering, Vol. 29, No. 3, March 2017, pp. 627-641.